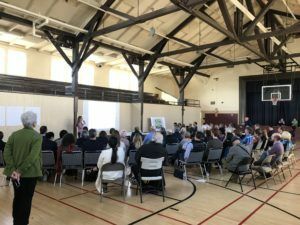 Thanks to all those who attended our 4th community meeting on Wednesday, May 17. 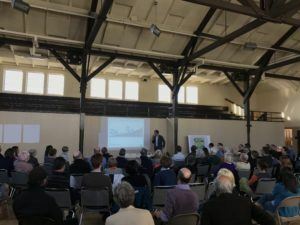 We were thrilled to have a packed house as we presented the consensus conceptual design for the future Francisco Park. For those who could not attend or would like a recap, below you will find materials we presented at the meeting, as well as a summary of the feedback we received there and at previous community meetings. After months of formal community outreach in partnership with the SF Recreation & Park Department, we collected the major themes found during our outreach and integrated them into our park design. 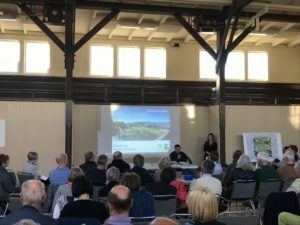 The design presented at the May 17 meeting represents hundreds of comments submitted to the Conservancy over the past 9+ months. A very sincere thank you to those who submitted comments, completed the online survey, and attended meetings. Because of your input, the park design better reflects the community’s needs and wishes. To view the presentation shown at meeting #4, click here. To view the comment cards submitted at meeting #4, click here. To view notes from the public comment period, click here. 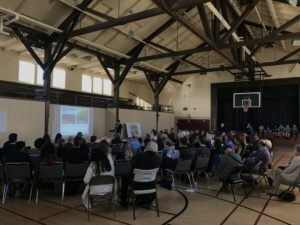 The Francisco Park Conservancy will now move into the next steps of the City’s permitting process. As we move forward, we will have opportunities for the public to continue to engage on specific park elements, such as the children’s playground and community garden. If you would like to be involved in those small group discussions or simply have a question or comment, please contact us at info@FranciscoPark.org. To stay up-to-date on the park’s progress, subscribe to our newsletter by clicking here.